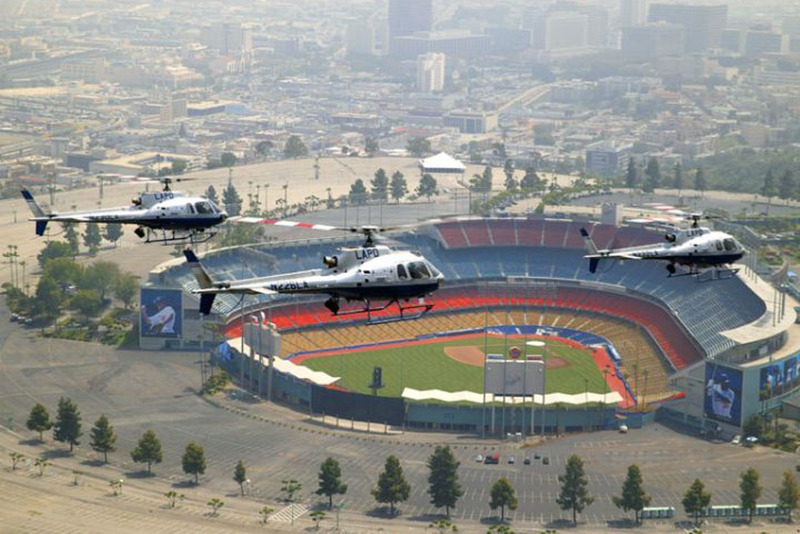 The LAPD Air Support Division is the largest municipal airborne law enforcement organization in the U.S. and operates from the LAPD Hooper Heliport. The helicopter crews assist with thousands of arrests, pursuits and crimes in progress each year. The LAPD's airborne law enforcement program began with one helicopter in 1956. Today, the Air Support Division is the largest municipal airborne law enforcement operation in the world and logged more than 18,000 flight hours in 2011. Photos courtesy of the LAPD's Air Support Angel's Foundation.